This week we celebrate Orthoptics Awareness Week! Who are Orthoptists and what do they do? Orthoptists are eye health professionals who care for patients with eye disorders. Through a unique set of skills, orthoptists play a crucial role in the detection, diagnosis and management of eye diseases in both adults and children. The tests performed by the orthoptist play a crucial role in aiding the Ophthalmologist to diagnose and treat several eye conditions. How does orthoptics differ from other eye health professions? With speciality university training, orthoptists possess a unique and versatile set of skills in eye health; depending on the setting, orthoptists may be responsible for a variety of eye health practices. As an example, an orthoptist may be primarily responsible for the pre- and post-operative care of patients with cataracts. This involves undertaking a number of investigations to determine the patient’s potential vision, surgical requirements including the optical lens to be inserted in the eye during surgery and the prescribing of glasses. 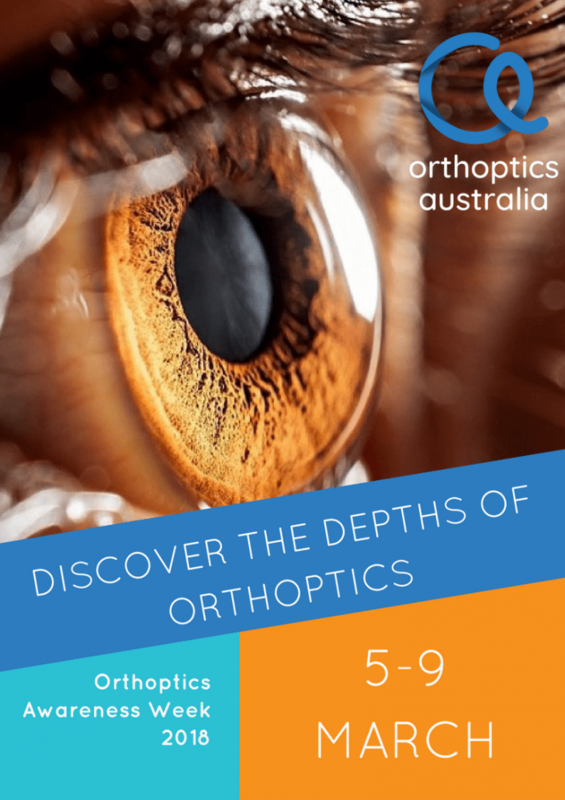 To perform these investigations, orthoptists are highly trained in using specialised technology to detect and measure the progression of eye disease – these include instruments such as ultrasonography machines, (A-scans, B-scans and pachymmeters), topogrophers (Ocular Coherence Tomographer (OCT), Orbscans) and retinal cameras. Orthoptists may also prescribe management programs for those with conditions such as refractive error (need for glasses), double vision, neurological disorders and ocular motility disorders, as well as aiding in the rehabilitation of impaired vision. In contrast, an optometrist is a primary care practitioner who examines eyes, gives advice on visual problems, and prescribes and fits glasses or contact lenses. If eye disease is detected, an optometrist will generally refer patients to a specialist for further management. An ophthalmologist is a medical doctor who has undertaken additional specialist training in the diagnosis and management of disorders of the eye and visual system. Ophthalmologists can prescribe medication and perform surgical procedures in the management of eye disease. Often, an orthoptist and ophthalmologist will work collaboratively together in investigating and managing diseases of the eye.